Entrance and exit holes and a network of galleries made by adults and larvae point to the presence of the smaller European elm bark beetle. Galleries excavated by adults parallel with the wood grain are a feature that can be used to determine that the smaller European elm bark beetle, and not the native elm bark beetle, is present. 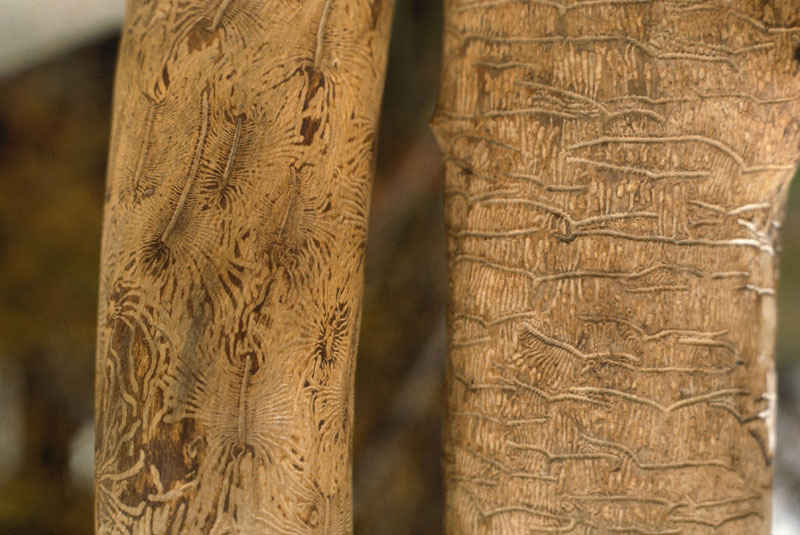 Another distinctive feature is the presence of stings in the bark at branch intersections, which are attributable to feeding adults. This insect is a vector of the causal fungus of Dutch elm disease, a disease that wiped out the American elm population in Eastern North America. Adults that emerge from trees infected with this disease end up transmitting the spores to the healthy trees on which they subsequently feed. After feeding, the insects return to weak or injured trees and lay their eggs in the trunk. 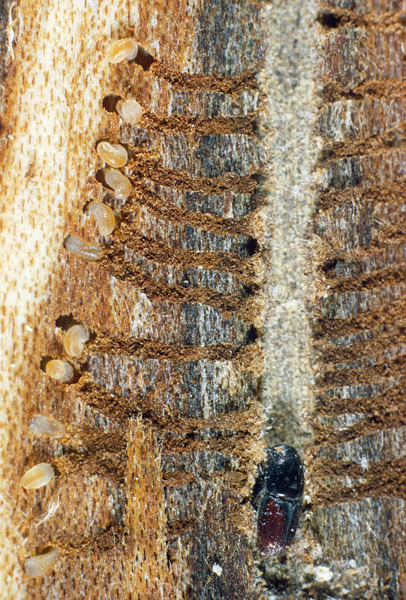 The smaller European elm bark beetle overwinters as a larva and changes into a pupa and then into an adult in the spring. 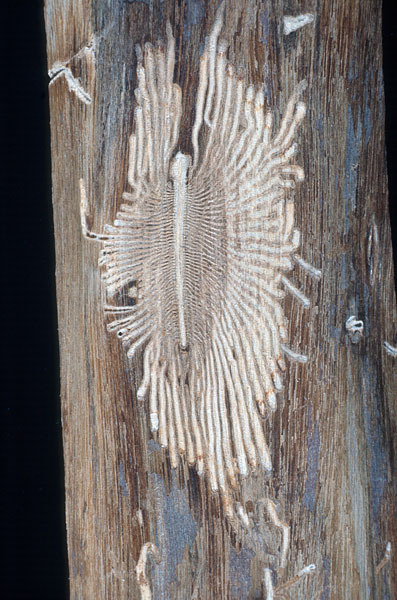 Accidentally introduced to North America, the smaller European elm bark beetle was first reported in Canada in 1946, in Ontario (where its distribution area gradually expends), with the next report occurring in Quebec in 1970 (where it has not spread much). It also occurs in southern British Columbia in areas where elm is planted as an ornamental. 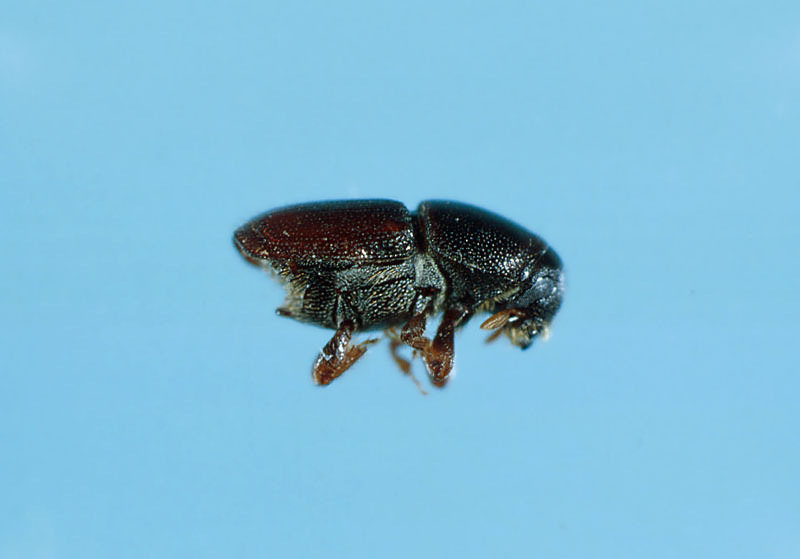 Although this insect has had a more difficult time establishing itself in Canada than the native elm bark beetle, owing to the climate, it is nonetheless closely linked to the American elm as a vector of the fungi Ophiostoma ulmi and O. novo-ulmi, which cause Dutch elm disease. 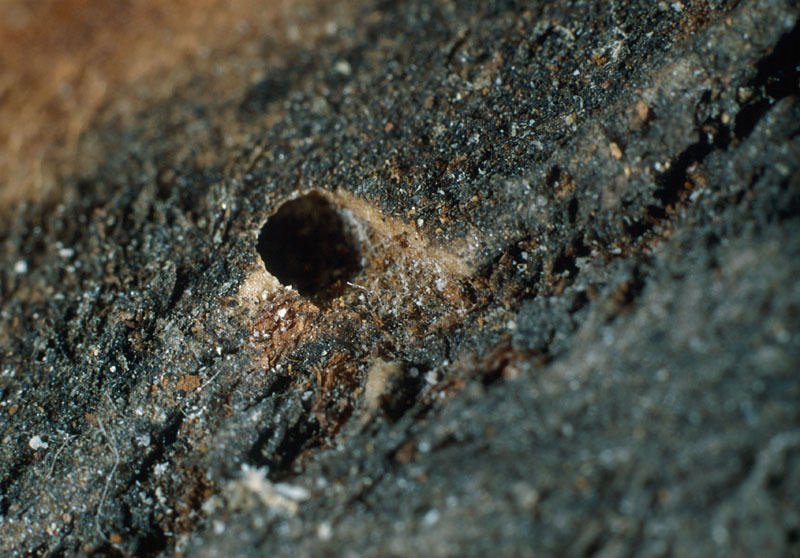 The damage that this disease causes is much more serious than the direct injuries resulting from bark beetle feeding. The two fungi have not yet been reported in British Columbia. Sticky traps baited with a pheromone and natural attractants from the host provide an effective way to evaluate this insect's population size. 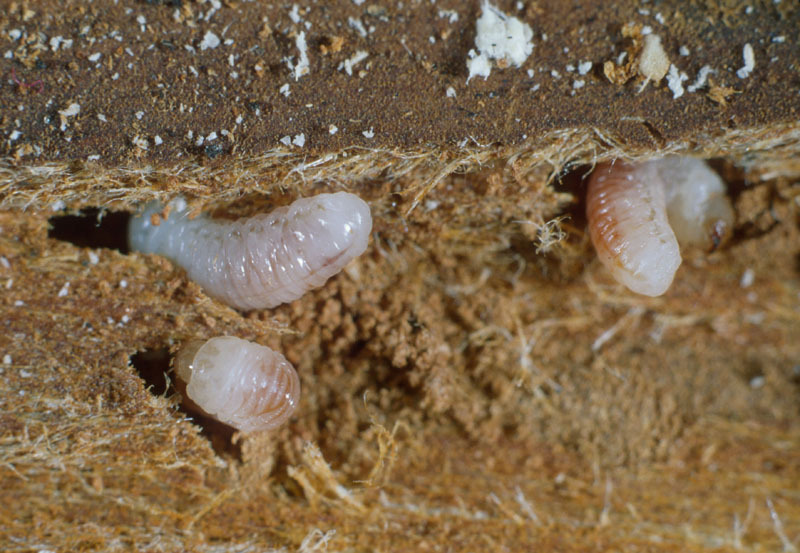 When deployed in sufficient number around the area to be protected, traps can help to reduce the local population of smaller European elm bark beetles. Dutch elm disease is an exotic disease that comes under the authority of the quarantine acts and regulations administered by the Canadian Food Inspection Agency. Wood infected with this disease may not be transported to regions where the disease is not present.